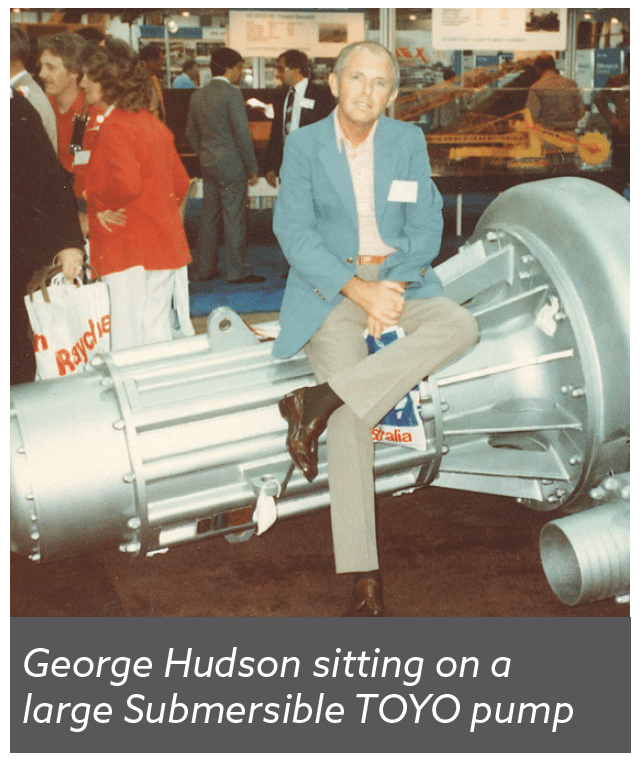 Hudson Pump & Equipment, Tencarva’s Florida-based Sales Division, is celebrating its 40th Anniversary. 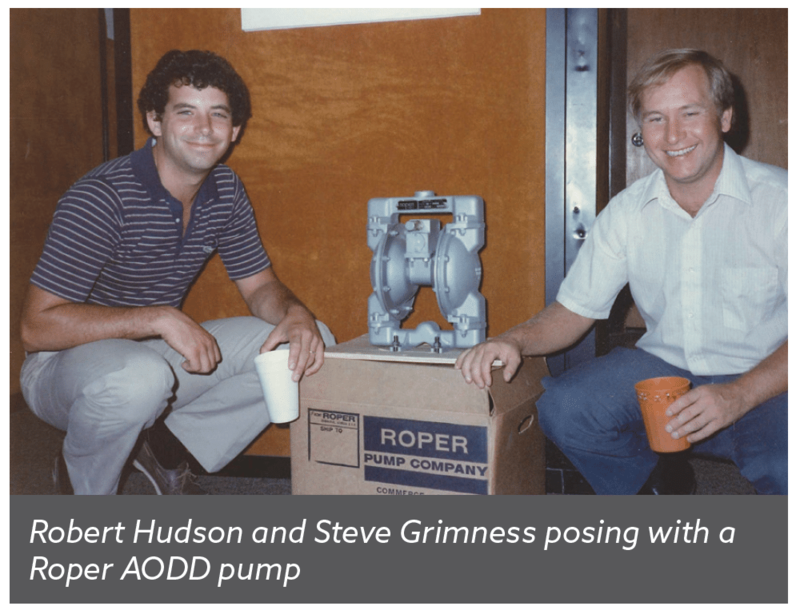 Hudson Pump & Equipment Associate’s Inc. was founded by George (father) and Robert (son) Hudson in 1979 as a Goulds Pump Distributor. George worked for Goulds Pumps as early as February of 1957 in many capacities with his last position as director of marketing. 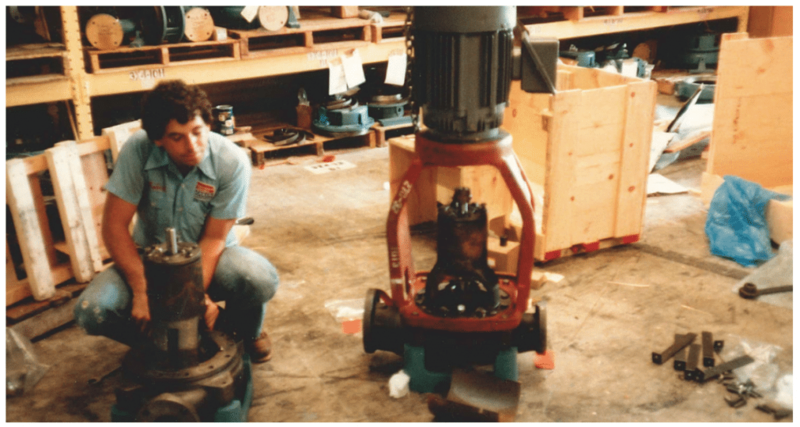 He left to work at Worthington Pumps briefly as Southeast territory manager, but Goulds Pumps offered him the chance to open a Goulds Pumps distributor business in Florida, a fantastic opportunity. Hudson Pump & Equipment Associate’s, Inc. became the second Goulds Pump Distributor in the world, following a California distributor. George tells the story in his own words, “When I got up to Seneca Falls to talk to these people, the treasurer of the company sat me down in his office and said, ‘George you are part of the family, and we want you to succeed.’ They really helped us get into the business by giving us consigned inventory with no interest charge for the first year. They gave us all kinds of financial help, including 60-day terms. 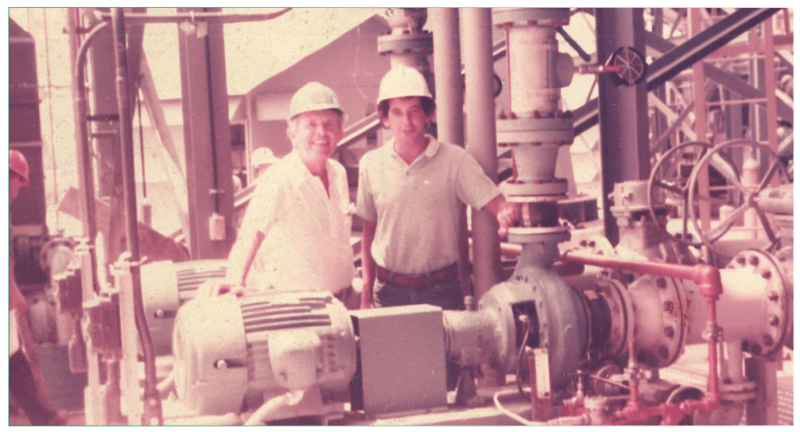 Another Goulds Pump distributor in Georgia – GPM Industries – was later born with George Hudson’s help. It would also become a Tencarva Division, in a similar fashion to Hudson Pump & Equipment. “At that time, I had decided that it was time to get out of the business, and Robert was running the company. He was the main negotiator. Things were at a high point!” The rest as they say is history. Hudson Pump & Equipment joined Tencarva Machinery Company on October 17, 2001. Now a division of Tencarva, Hudson covers a territory that includes all of Florida except the panhandle west of Tallahassee and a few accounts in southern Georgia. In addition to the Lakeland facility, Hudson has offices in Jacksonville and Miami.